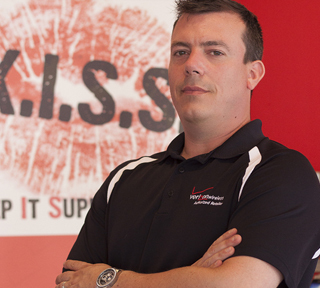 Wireless Made Simple is Central PA's only locally owned, multiple location, Premium Verizon Wireless superstore and Business Support center. We are here to help you save money and improve your technology. We offer the latest smart phones, tablets, portable internet and home/office phone service AND can probably save you money over your current services. We specialize in finding ways to cut your bills for things you already use, not just try to get you into new products! We are here to help you save money and improve your technology. After working in all levels of the wireless industry in Central PA for over 10 years, the CEO of Wireless Made Simple realized there was one glaring weakness; high quality consumer and business support and services. Have you ever wondered why someone else has the same product as you but paid less for it, and their service is less every month? Some carriers even offer low cost plans that they don't pay their reps to sell, so the reps never offer them. Learning all of these things and realizing that to survive, some stores get customers to pay as much as possible, is what started the process that formed Wireless Made Simple. WMS survives and generates revenue by SAVING you money and improving your service and experience. The more time and money we can save you, the happier we make you and in turn, the more successful we become. It truly is a win-win situation for everyone involved. We do not stop at the sale either, for consumers or businesses. WMS will be there with you from that point on helping to integrate the new plans or products and answer any questions you have. For businesses, we also perform periodic evaluations to make sure your system is functioning at full capability with minimal expense. The more time and money we can save you, the better off you are, and the more friends or family you will refer. WMS also believes in the power of shopping local, and we try to whenever we can. Shopping local keeps up to 68% of your purchase in the local economy. Shopping in a chain store from out of the area sends up to 80% of your purchase out of the area. Wireless Made Simple is 100% locally owned and staffed, so you are truly shopping local with us.